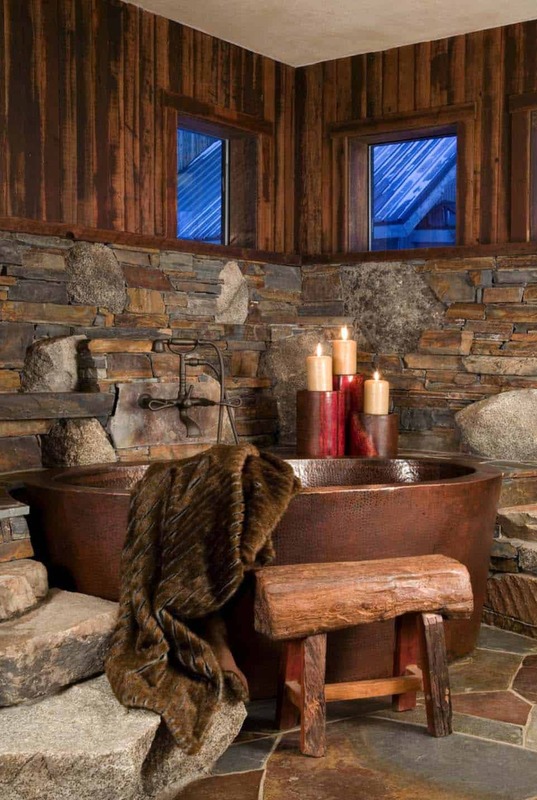 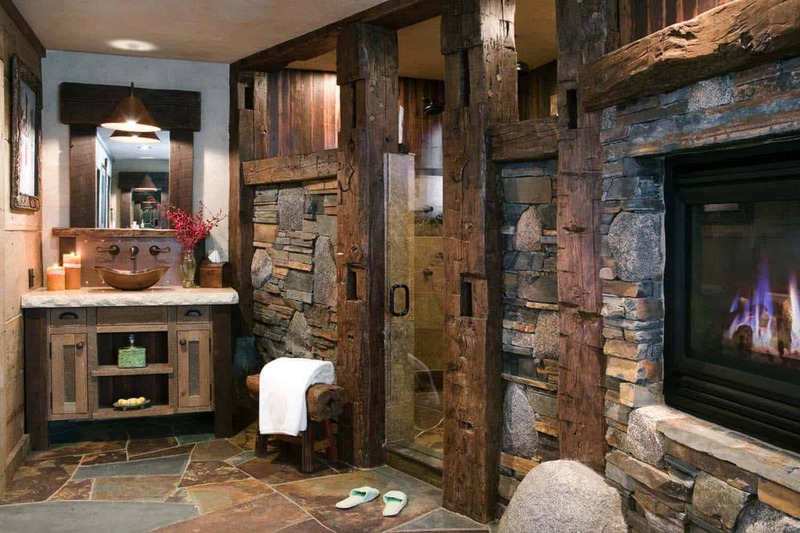 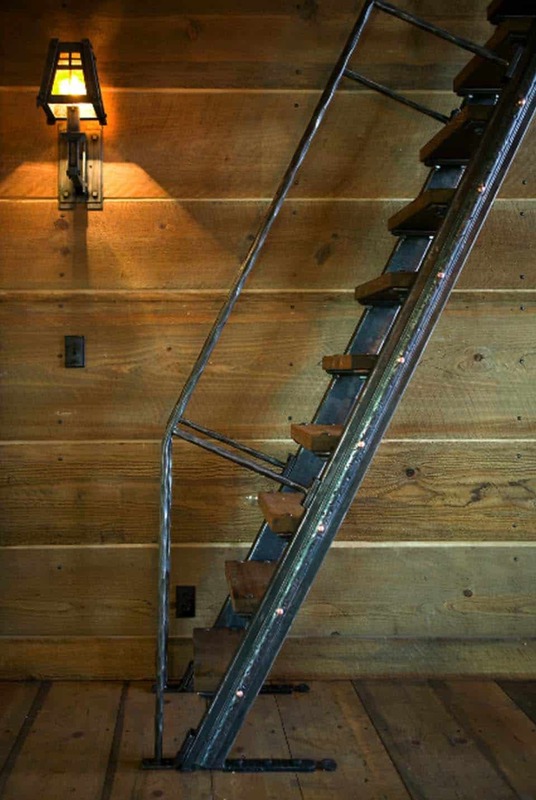 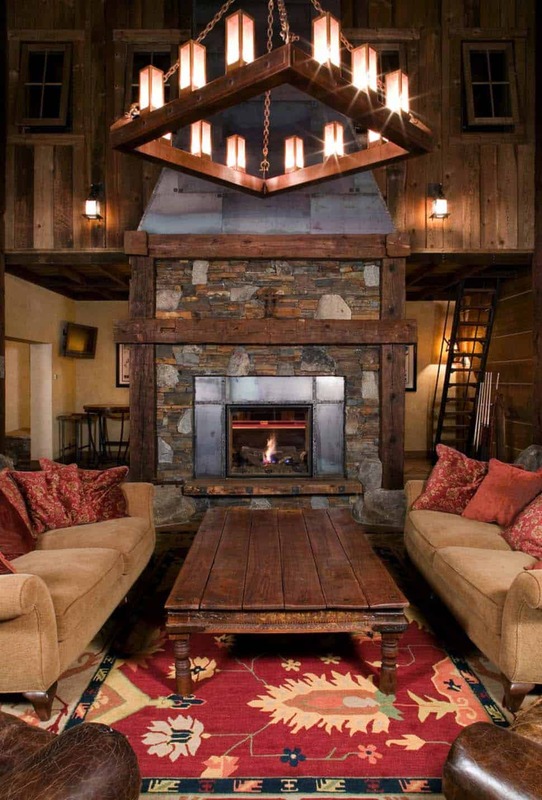 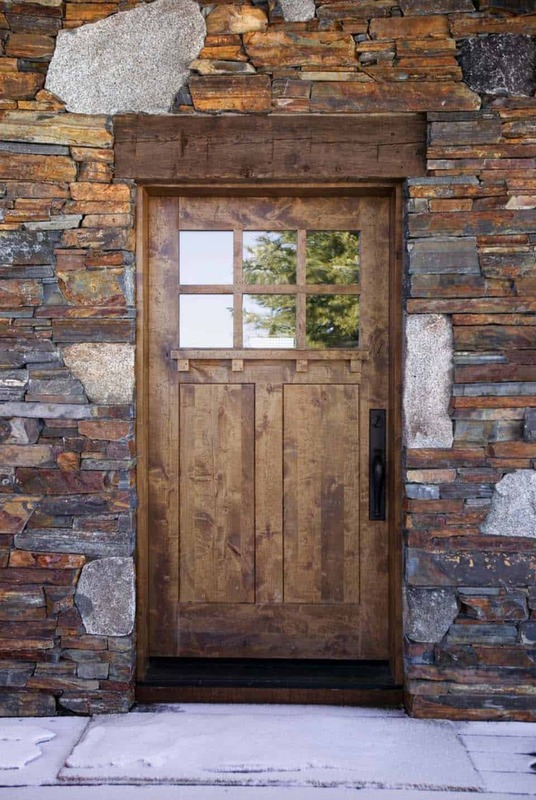 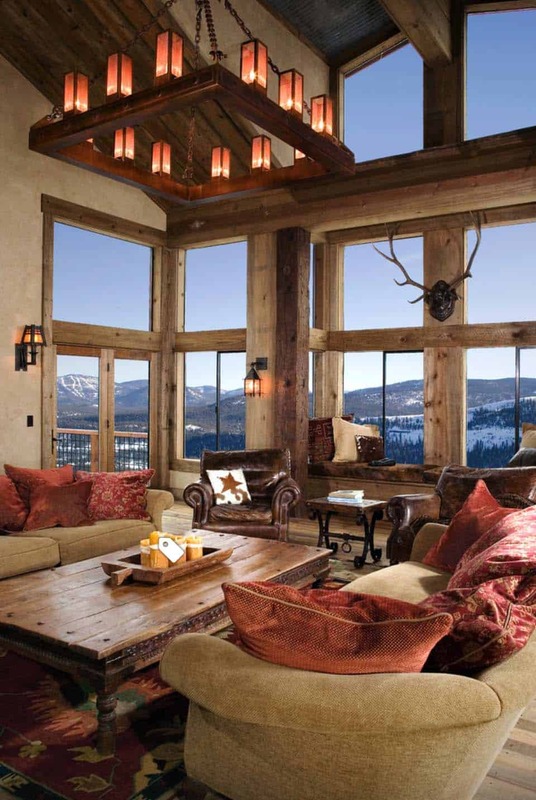 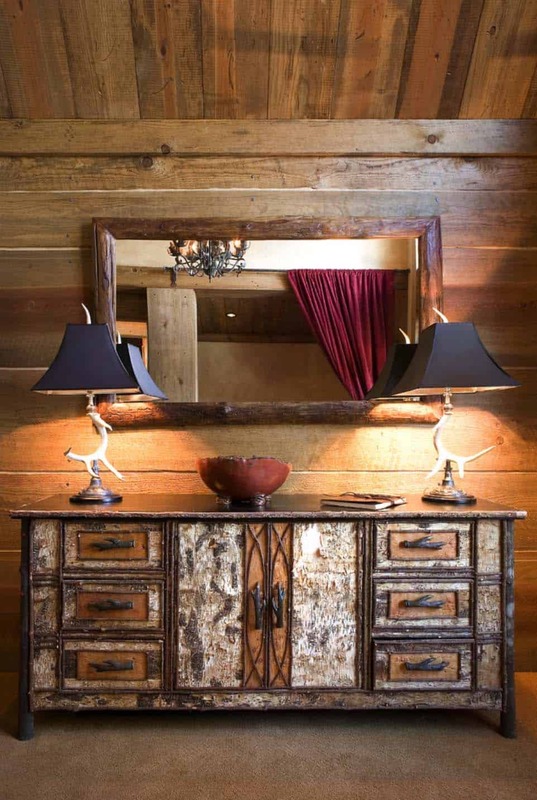 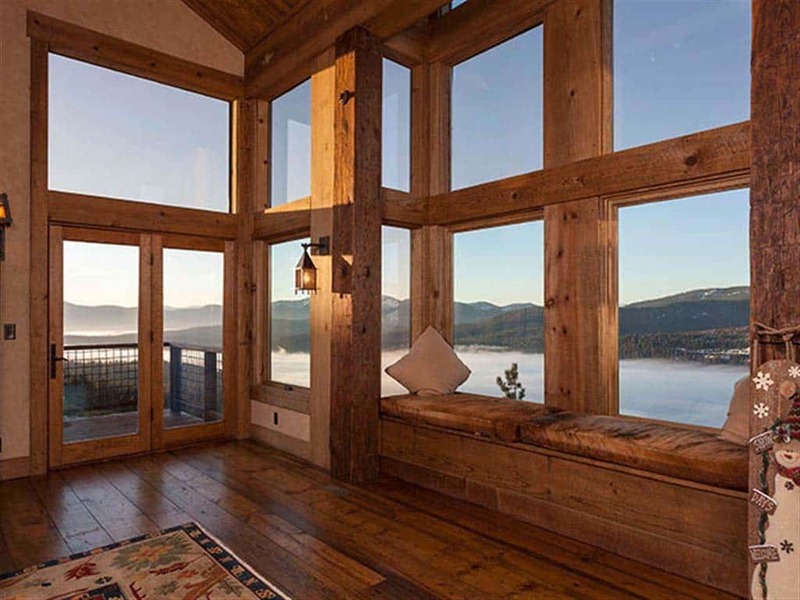 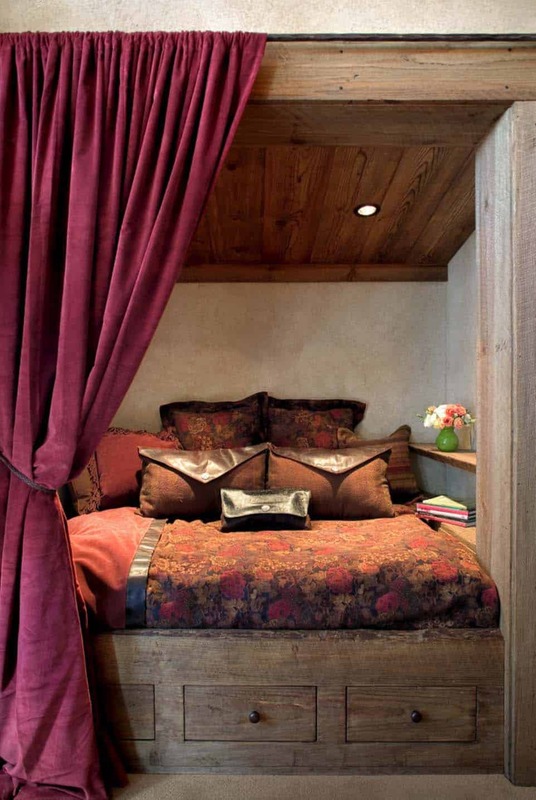 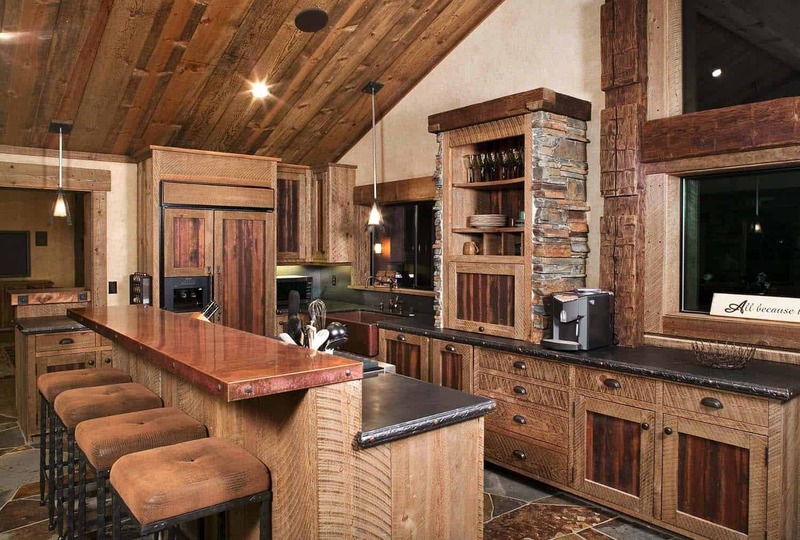 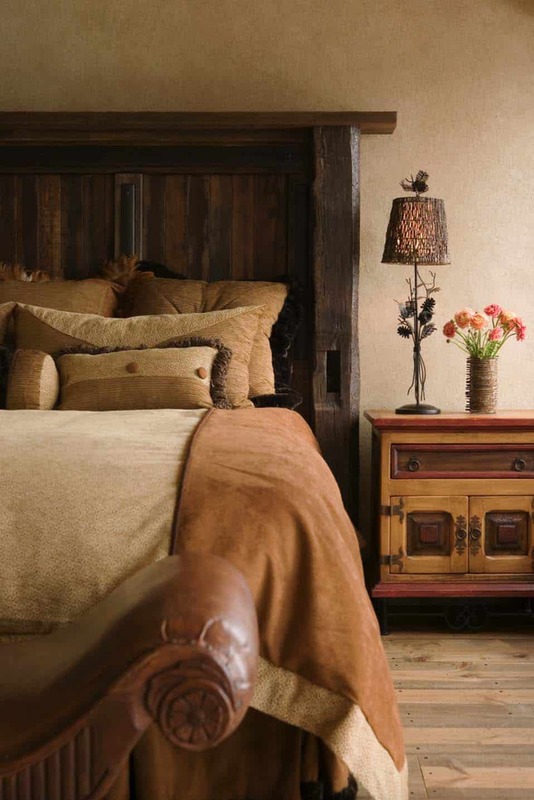 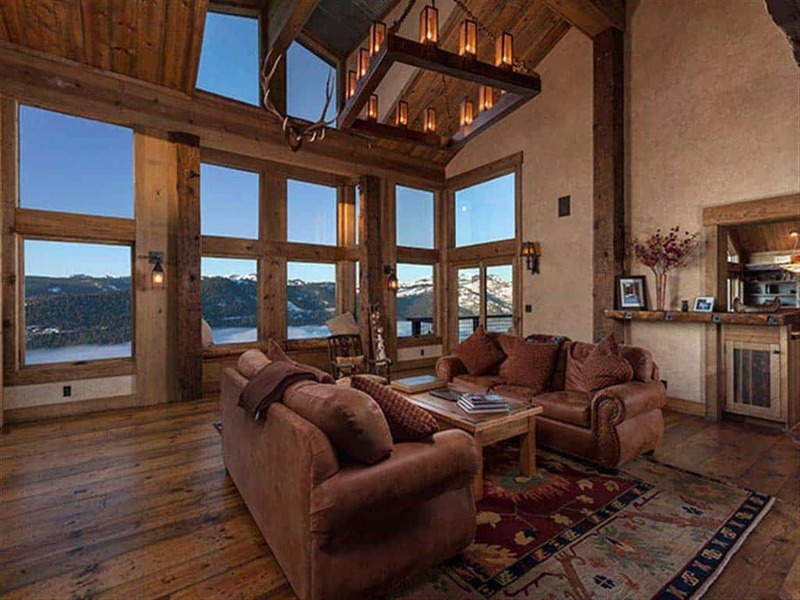 This sensational rustic mountain retreat was designed by High Camp Home in collaboration with builder High Sierra Customs, located in Truckee, California. 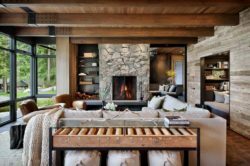 The home is comprised of 3,606 square feet of living space, with three bedrooms and three bathrooms plus a bunk loft above the pool table room. 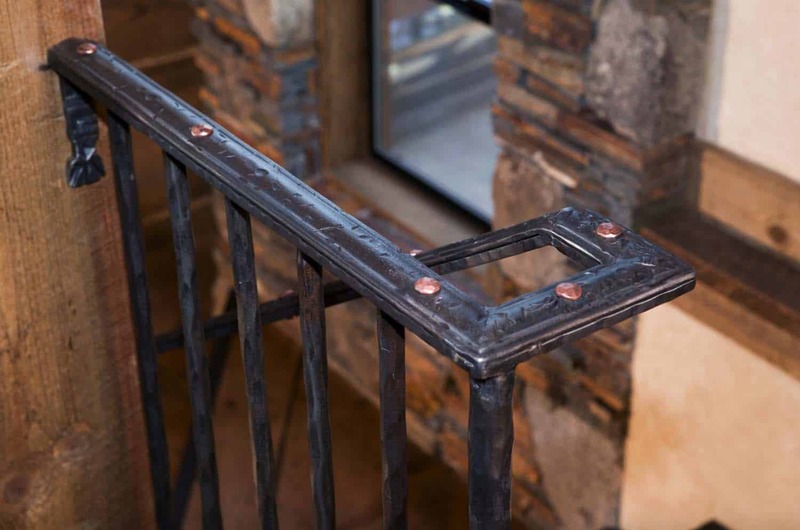 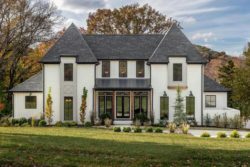 This custom home features a spectacular blend of materials, including custom milled barn wood, square nails, custom iron work, iron fixtures and stacked stone fireplaces. 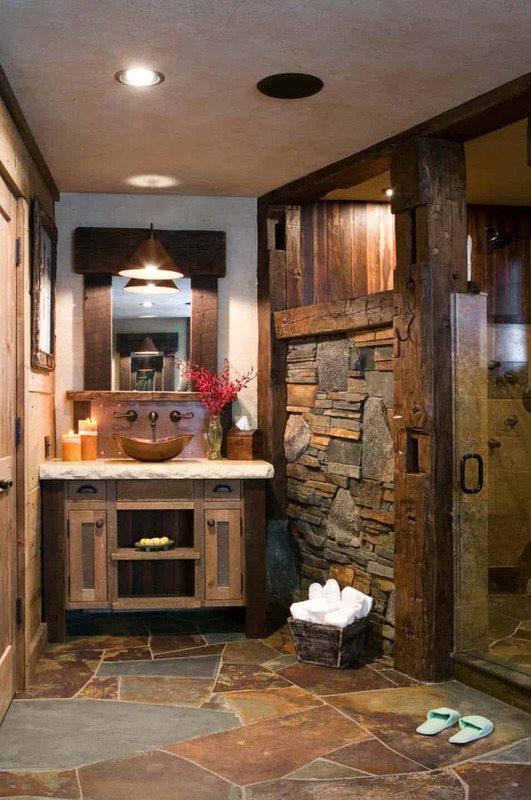 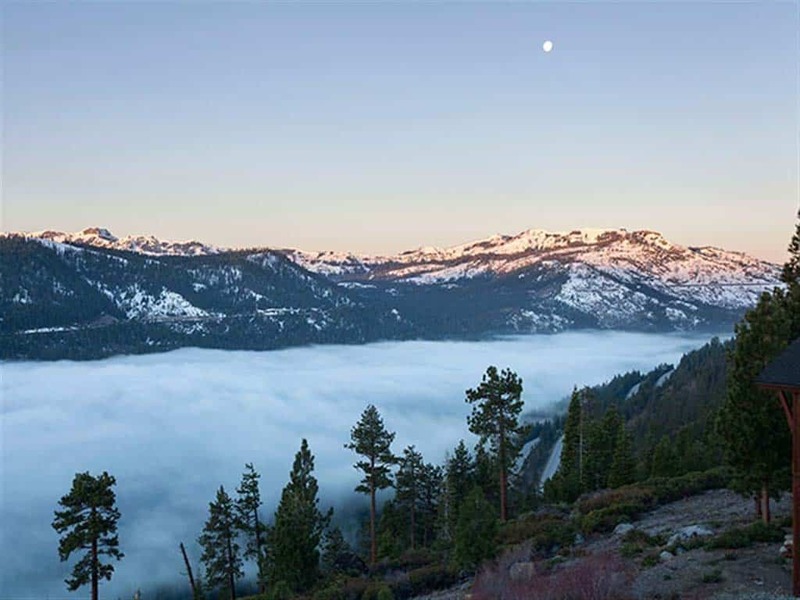 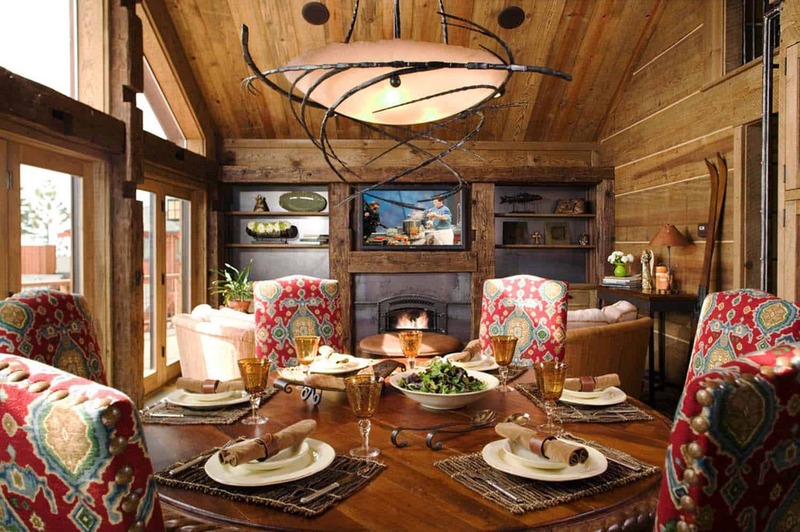 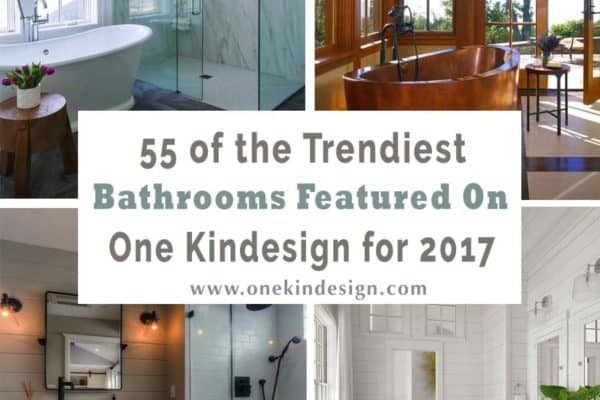 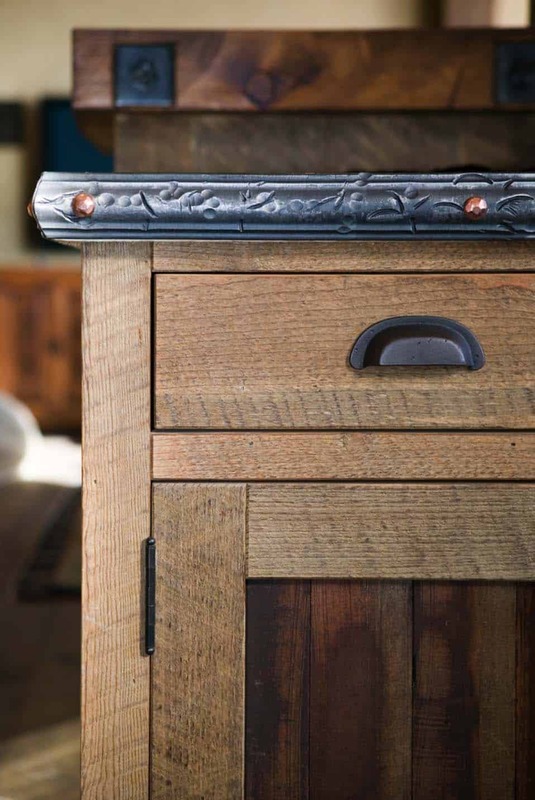 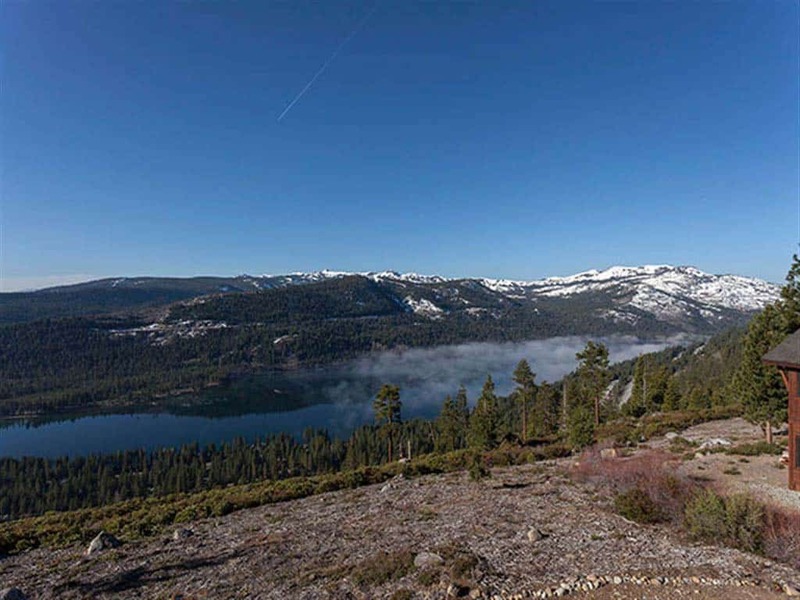 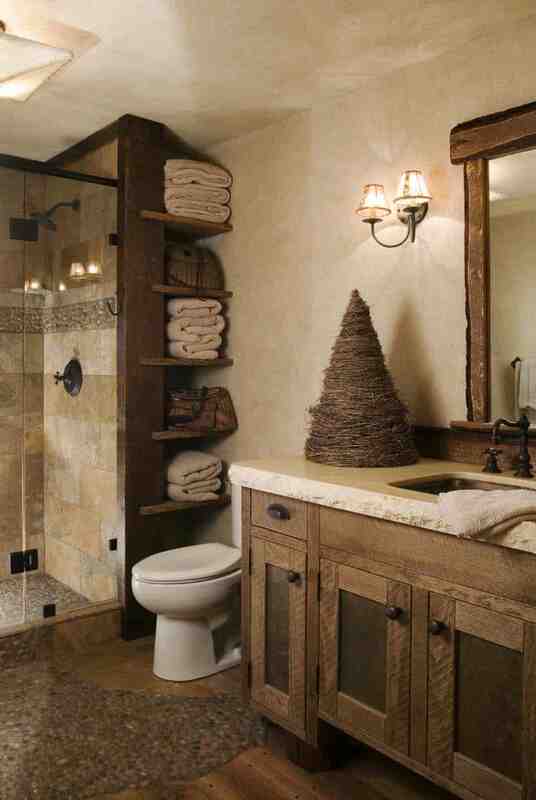 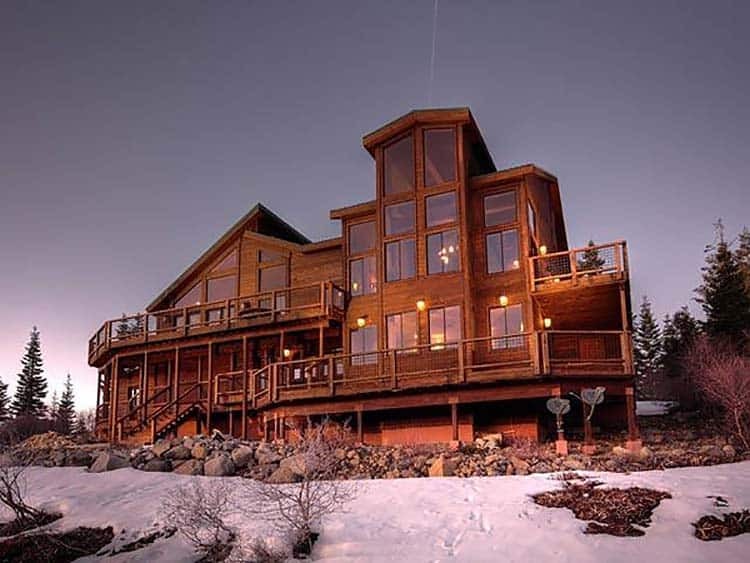 Note: Have a look at a couple of other incredible home tours that we have featured here on One Kindesign from the portfolio of High Camp Home: Rustic mountain cabin in Northern California infused with Texas charm and Dated A-frame mountain cabin in Lake Tahoe get fabulous transformation. 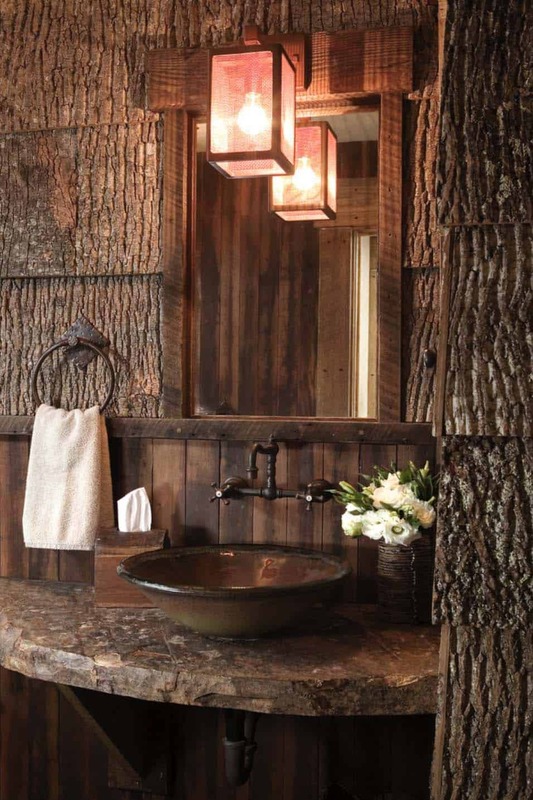 Above: In the powder bathroom, the bark shingles are real poplar bark, which is flattened, cleaned, and sanitized. 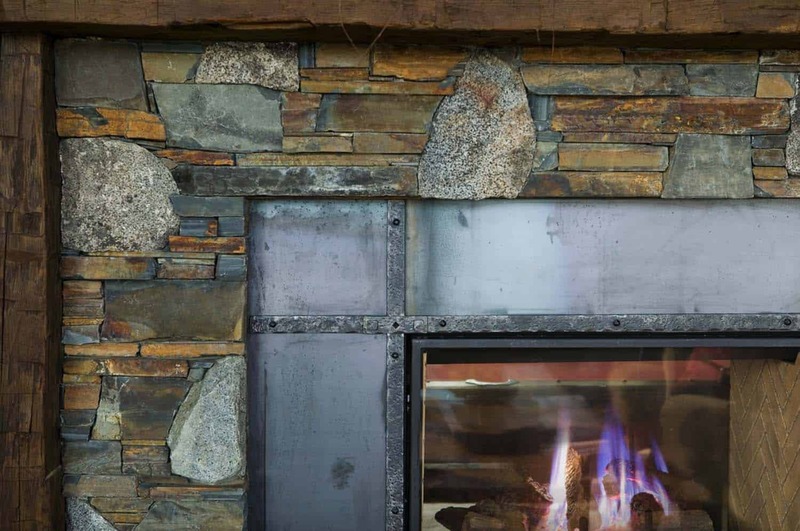 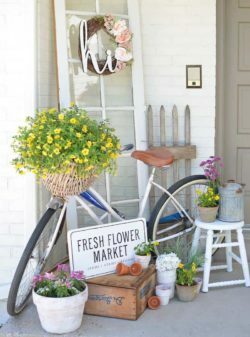 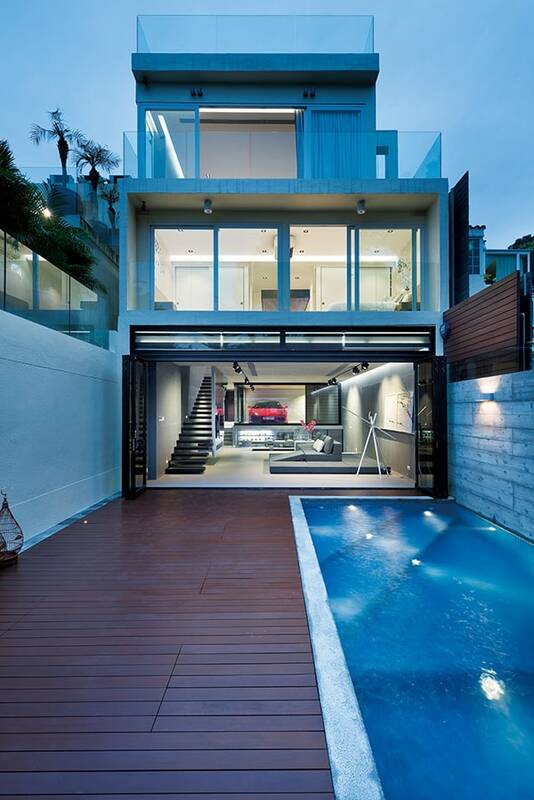 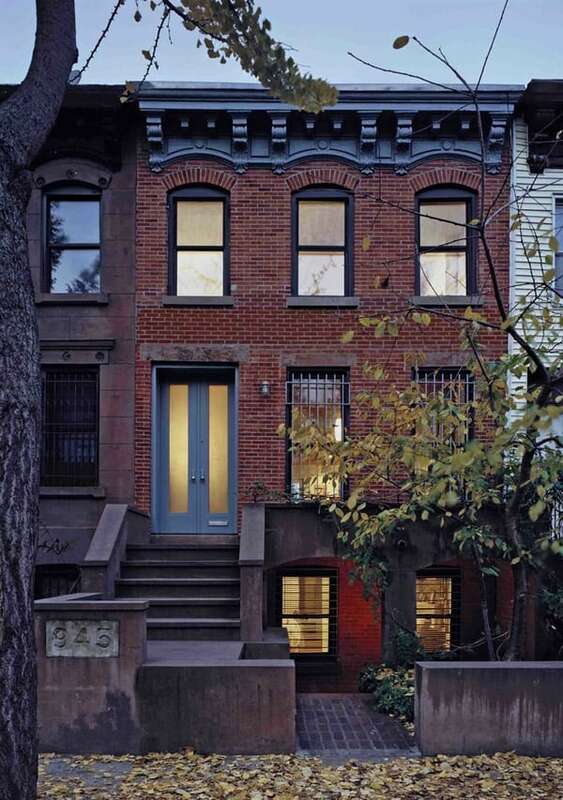 They can be used for exterior or interior use. 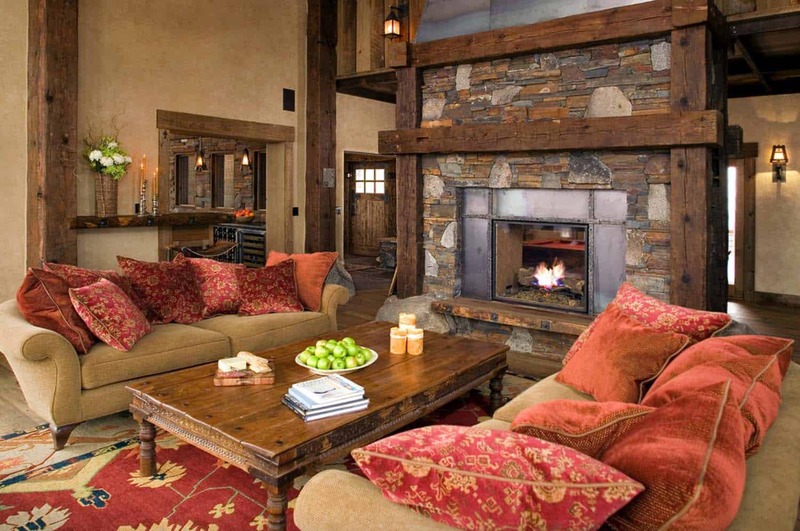 They have great acoustic properties, so they work well in Media Rooms, Mancaves, Wine Rooms, etc. 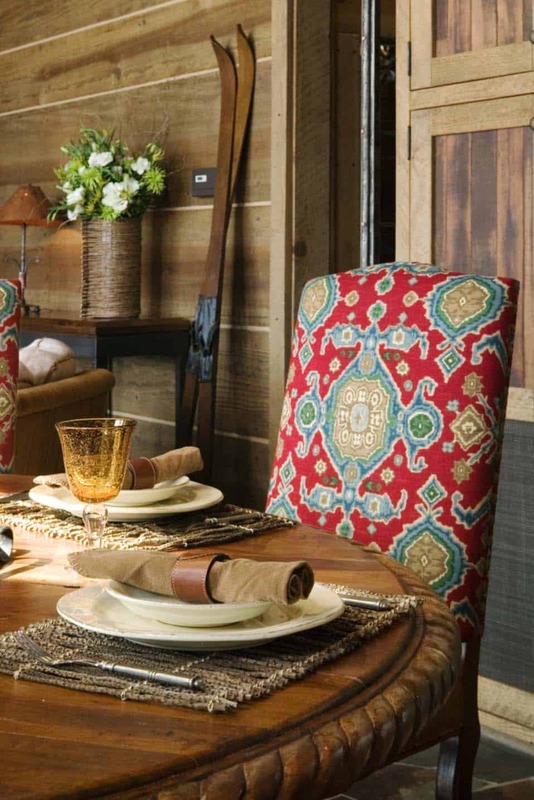 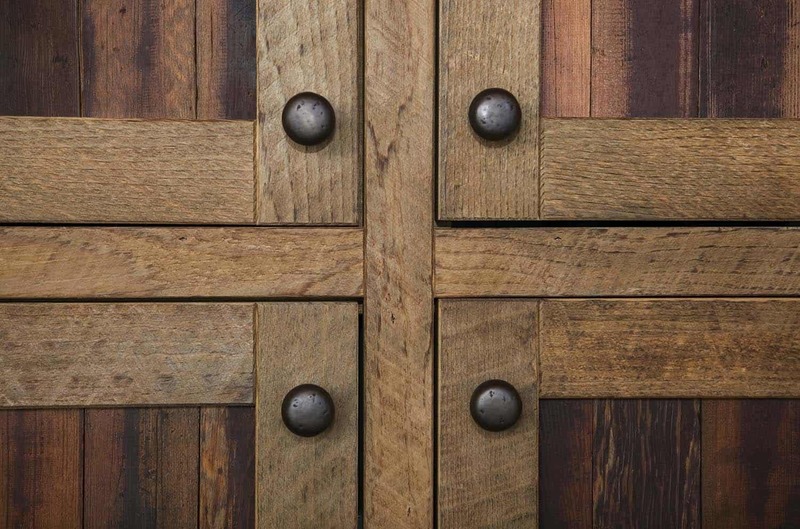 To find this material, try Bark House. 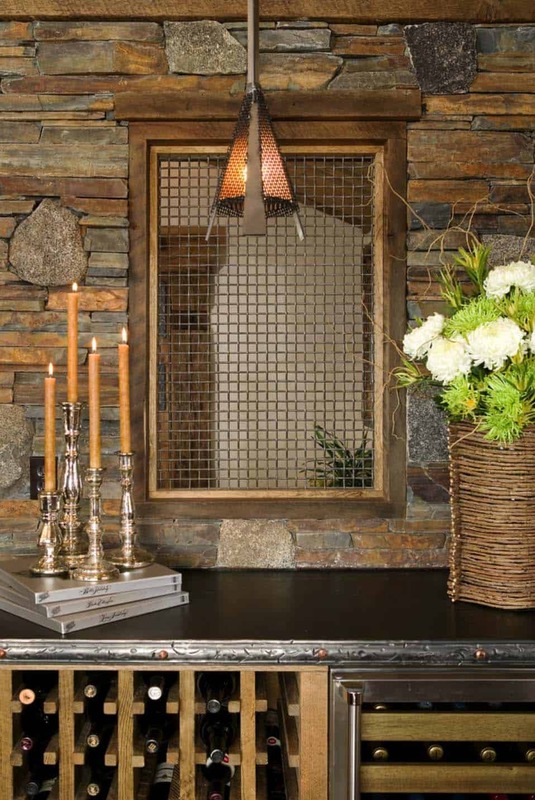 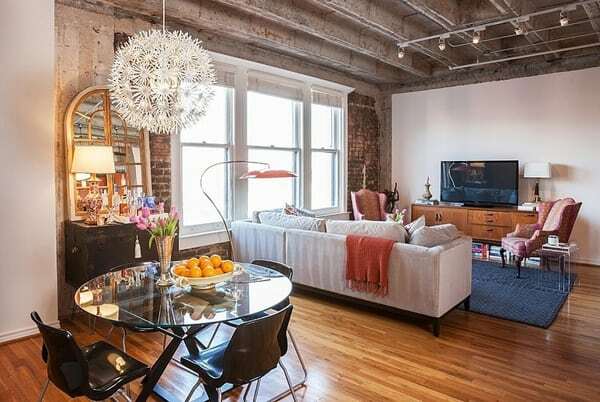 The light fixture is a woven copper pendants- available in custom sizes through High Camp Home. 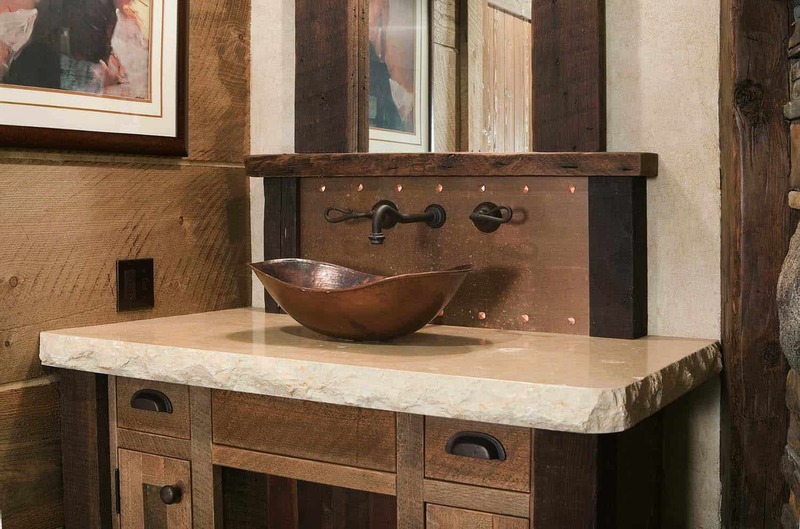 The sink is by Gravity Glas, one similar can be currently found on eBay. 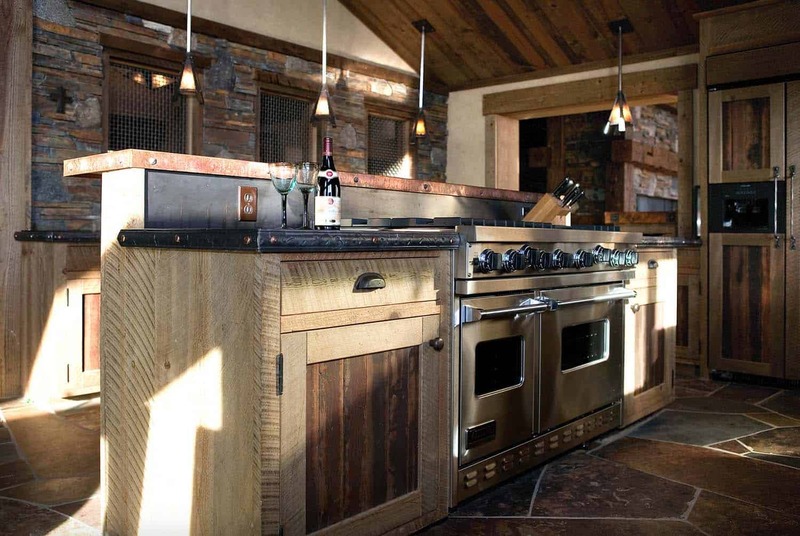 The countertop is a piece of Sierra Antique Slate in a large slab that was cut for the counter top. 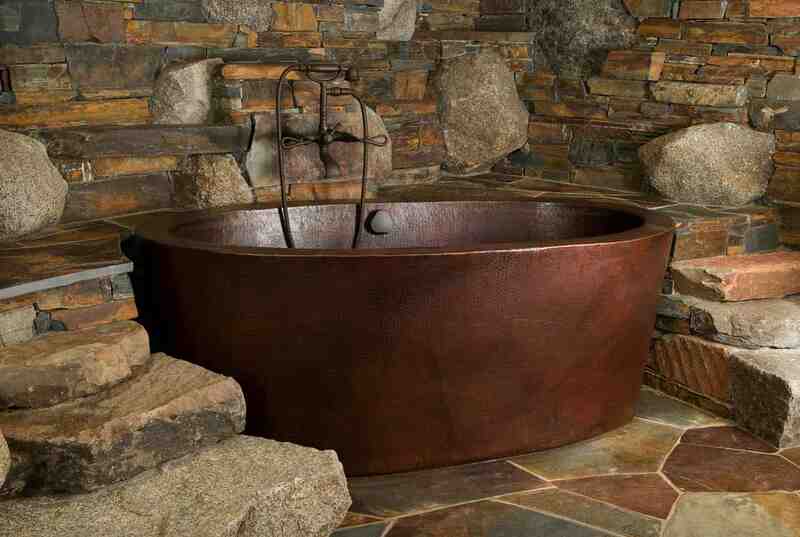 Above: The bathtub is a copper soaking tub from Diamond Spas. 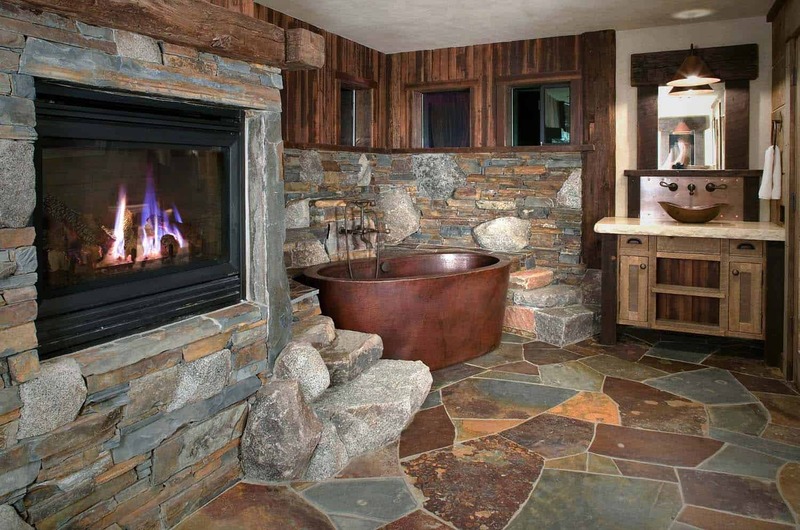 There is a tub filler made by Price Pfister that is very similar to the one shown here. 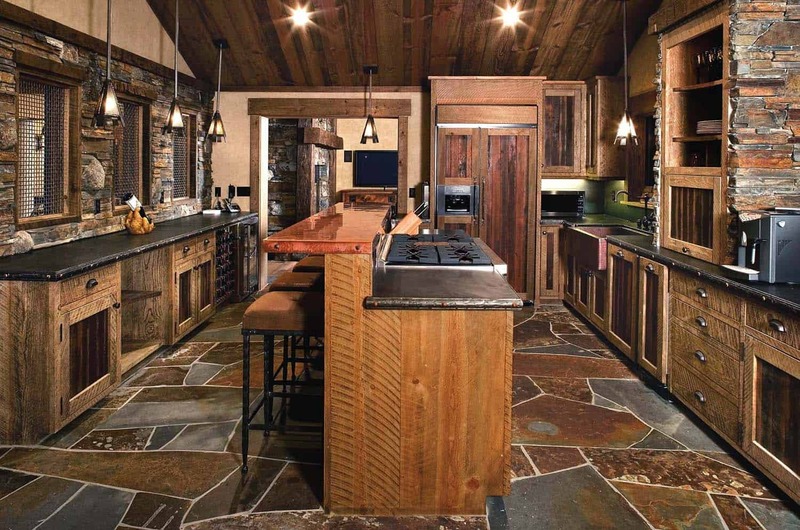 The flooring is Flagstone Slate in random pattern. 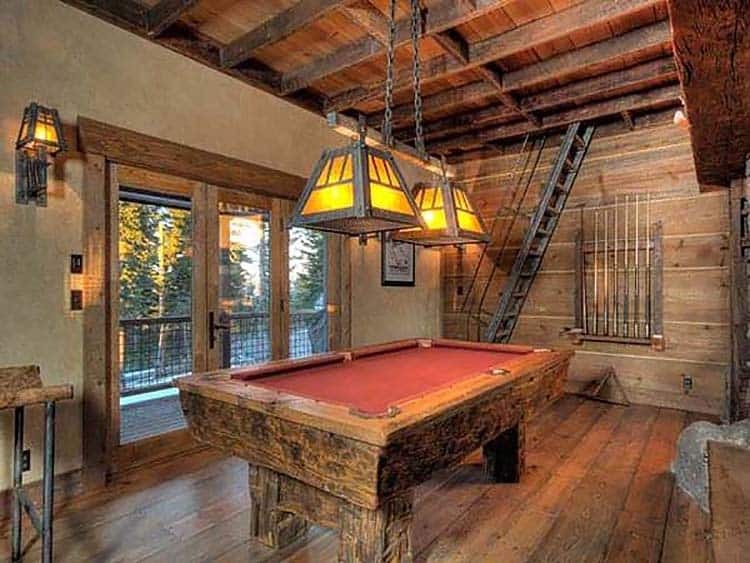 The throw is from Silverado Home.